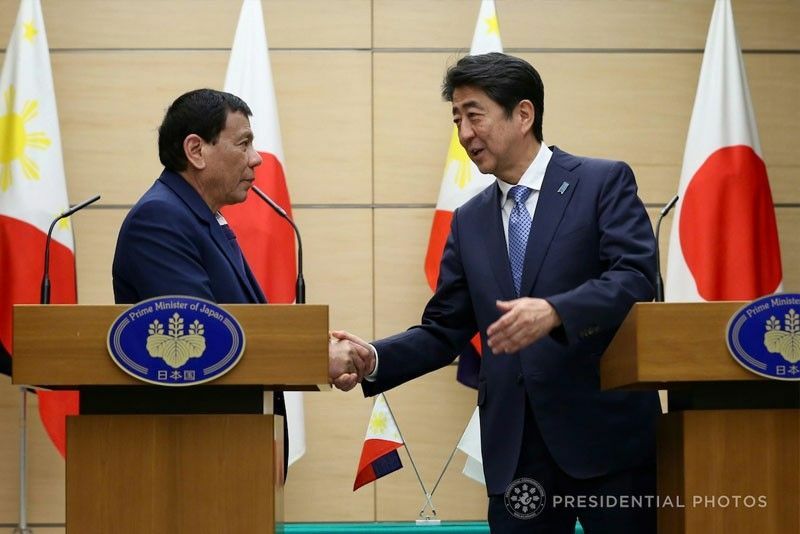 A Kyodo report said Duterte accepted the invitation to attend the 25th International Conference on the Future of Asia in Tokyo, organized by Nikkei Daily, scheduled on May 30 and 31. MANILA, Philippines — President Duterte is set to again visit Japan in May to attend a regional conference. His visit to Japan will be his third since he became president in 2016. In the Nov. 17, 2018 joint statement of the governments, the three nations said the trilateral partnership seeks to be a force-multiplier in the Indo-Pacific, providing a new vehicle through which countries in the region can coordinate to advance their infrastructure priorities. In the lead-up to the 2019 G20 Summit in Osaka, the US, Japan and Australia intend to work with other members of the G20 to promote quality infrastructure development. Australia’s Department of Foreign Affairs and Trade and Export Finance and Insurance Corp., the Japan Bank for International Cooperation and the US Overseas Private Investment Corp. signed a trilateral memorandum of understanding (MOU) to operationalize the Trilateral Partnership for Infrastructure Investment in the Indo-Pacific which was announced in Washington on July 30. Through the MOU, the three governments vowed to work together to mobilize and support the deployment of private sector investment capital and deliver major new infrastructure projects, enhance digital connectivity and energy infrastructure and achieve mutual development goals in the Indo-Pacific. Japan and Australia joined the US to create a scheme for investing in countries across Asia and the Pacific. US Secretary of State Michael Pompeo vowed a new era of engagement and pledged to “oppose” any country that attempted to dominate the Asia-Pacific, or Indo-Pacific, region.